The taste of a food product cannot be copyrighted because it is too subjective, the European Union's top court has ruled, rejecting a claim by a Dutch cheese manufacturer against a rival. The European Court of Justice (ECJ) said the taste of food could not be protected under copyright legislation because it "cannot be identified with precision and objectivity", unlike a photograph, song or piece of writing. Dutch company Levola argued that its competitor, Smilde, had infringed its copyright with a product that tasted the same as its own "Heksenkaas" spreadable cream cheese with herbs. 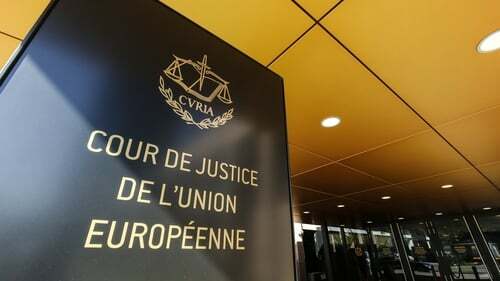 The case was referred to the ECJ by a Dutch appeals court to decide whether European copyright law could be applied, but the Luxembourg-based tribunal rejected Levola's arguments. To fall under the copyright rules, the court said, something has to be "expressed in a manner which makes it identifiable with sufficient precision and objectivity". "The court finds that the taste of a food product cannot be identified with precision and objectivity." "Unlike, for example, a literary, pictorial, cinematographic or musical work, which is a precise and objective expression, the taste of a food product will be identified essentially on the basis of taste sensations and experiences, which are subjective and variable." Moreover, the court said there was currently no scientific technique currently available to achieve a "precise and objective identification" of the taste of a particular food to distinguish it from other similar foods.